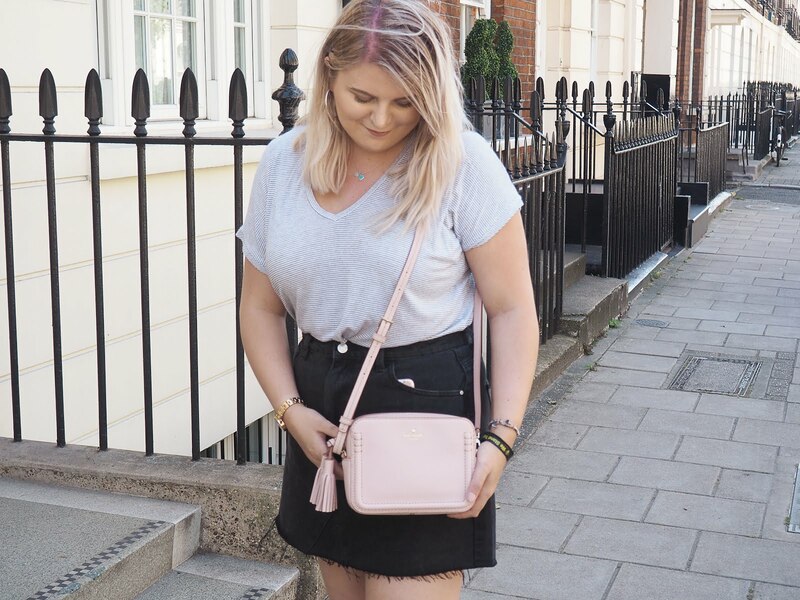 Crownbrush were a brand that I didn't really know much about until I created my blog. I was pretty much clueless when it came to make up brushes and relied on my trusty Real Techniques face and eye sets for years, no exaggeration. 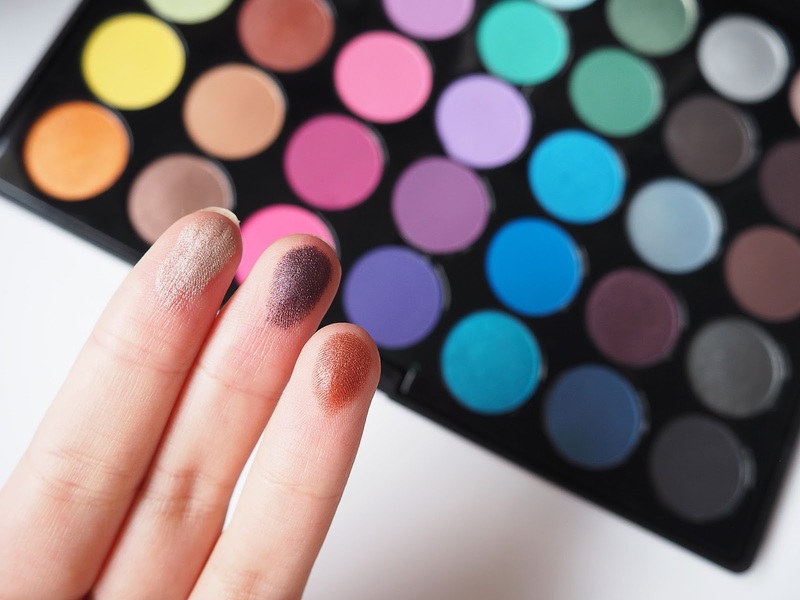 Blogging opened my eyes to the world of palettes and the hundreds of brushes that are available to help you create anything from the sharpest contour to the neatest cut crease. Crownbrush got in touch with me just over a month ago and asked if 1) I had tried anything from the brand and 2) If they could send over a few goodies for me to review. Well, several weeks later here I am finally reviewing them! When I received my package, I was incredibly overwhelmed. There was absolutely no way I was expecting to be gifted a palette as well as a brush set and I'm so grateful. But enough of my embarrassing gushing, let's get down to business, and by business I mean a chat about the products. First of all, can we just talk about how vibrant the colours are in the palette? I'M OBSESSED. This palette, the 35 Colour Smoke It Out Too, is uhh-mazing. I was totally not expecting there to be that many unique shadows in it but how wrong I was. It's so refreshing to see a product that isn't all about the neutrals, I want to see vibrant and fun make up! Although I'll admit, I'm not the bravest person when it comes to eye looks, but the shimmery shadows are right up my street. I'm all about that glow and highlight. The shadows are incredibly pigmented and blend really nicely. I have to say, I do prefer eyeshadows of a creamier consistency but considering this palette is only £21.99, can you really complain? Onto my favourite of the two items, the brush set. 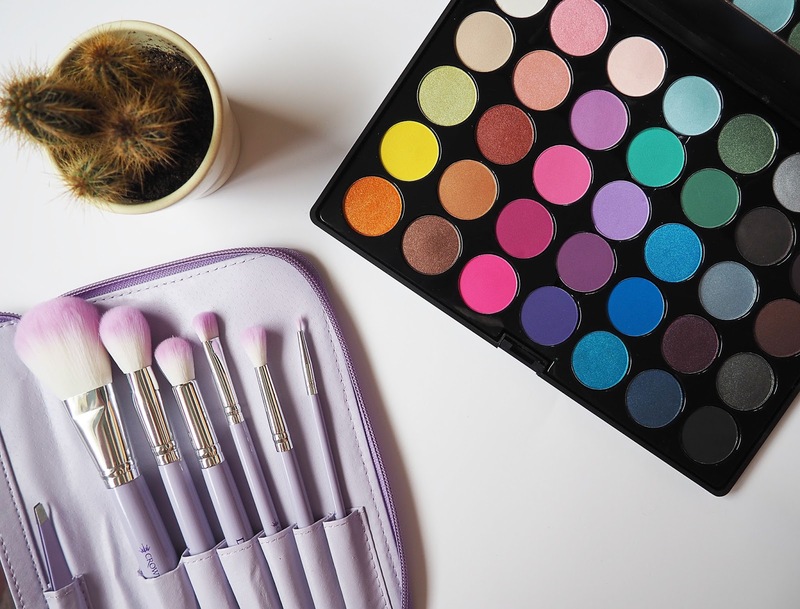 I strongly believe that you can never have enough make up brushes, which is why the 523 Purple HD Set has slotted perfectly into my forever growing collection. This 7 piece set comes in a lovely travel case, meaning they are most definitely going to be coming to Turkey with me at the end of the month. My first impressions of the Crease Blender brush was that it felt a bit flimsy, but once I started blending my shadows together I realised that my initial thoughts were totally wrong (it's now my fave). It's a great brush and for sure worth having a nosy at on the Crownbrush website. I find the Tapered Blush brush works amazingly well with loose powder. Since I've only recently got the hang of the whole baking technique, little old me needs all the help she can get and this brush works a darn treat! This set retails at £29.99 which is a little pricer than something like Real Techniques, but the variety of brushes and quality totally make up for it. 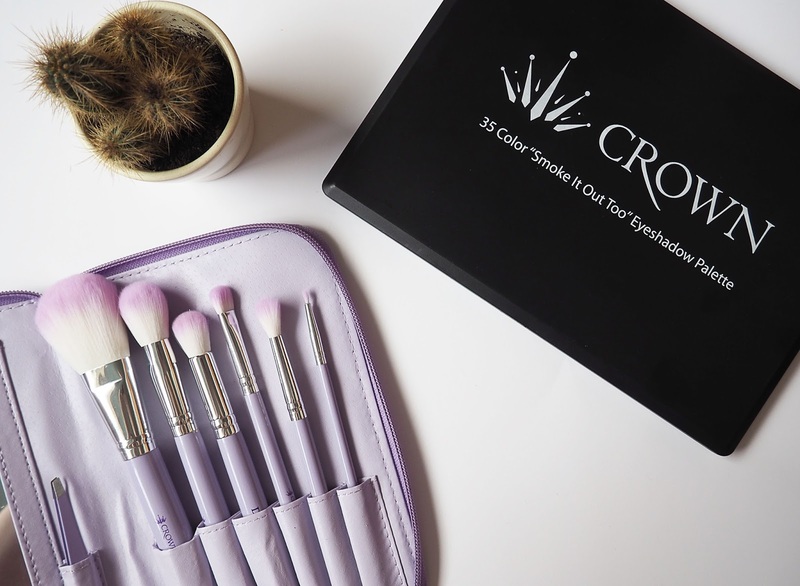 When it comes to purchasing new brushes in the future, I won't hesitate into having a peek at Crownbrush before making my decision, I'm officially a fan! Huge thank you to Crownbrush for sending me these wonderful goodies. the set of brushes is adorable!!! and of that color<333I will surely check them out because I have never heard of it before! I heard about this brand yearssss ago, but hadn't tried anything. I love the little brush set with the holder/wallet. Ah! I can't believe how colourful that set is - they look gorgeous! Especially if you're going for a mega bold look on a night out - love it! I've never heard of this brand, so thank you so much for posting about them, their brushes look beautiful! Ohhh that palette ! 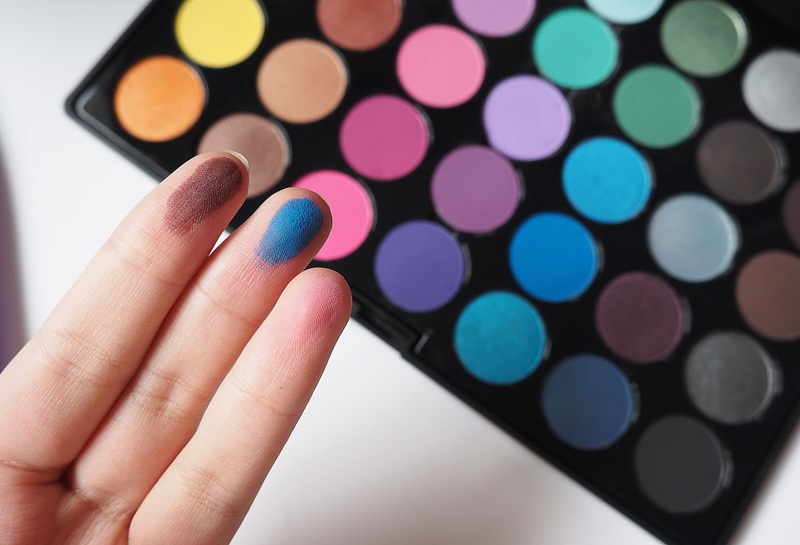 I can't deal with how gorgeous and pigmented the colours are ! Love them! Also .. Loving the pastel colours of the brushes ! I've heard so many fab things about these brushes ! Crownbrush have been on my radar since I started blogging too, I really want to try them out and that palette looks right up my street! 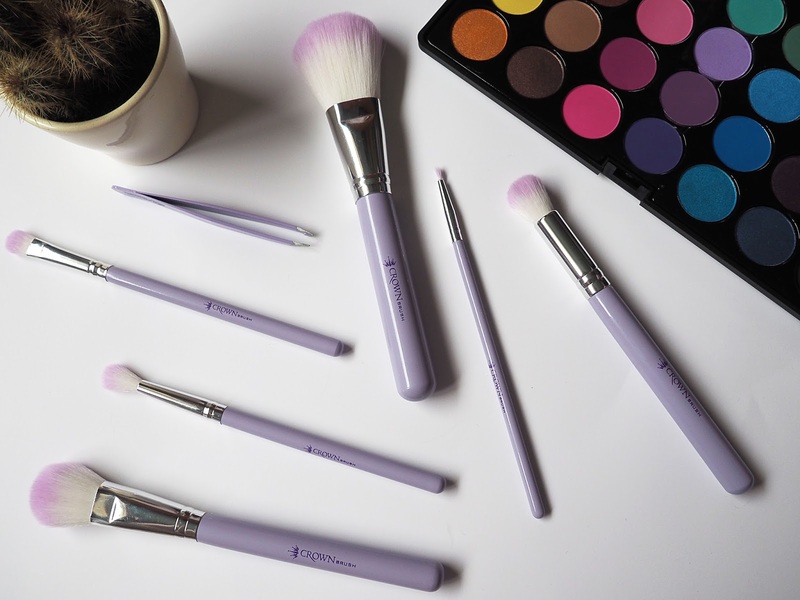 The brush set is just adorable, love the pastel shade! These brushes look great, definitely need some in my life!